Today we have an attractive collection of 6 Beautiful Insects with Flowers Images for you. 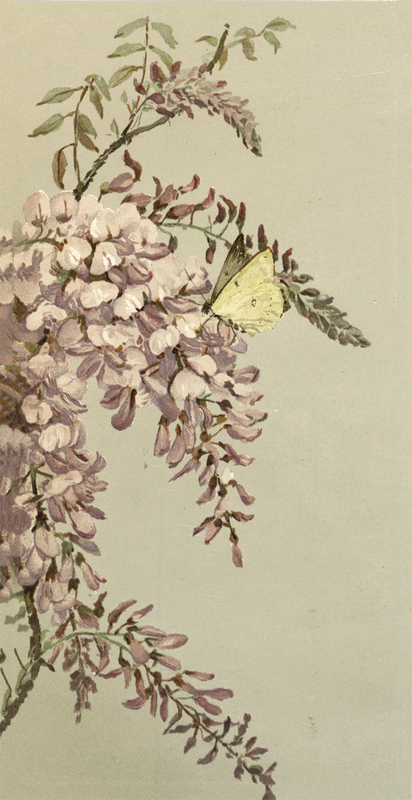 This curated set of vintage images includes bees butterflies, and moths with charming florals. 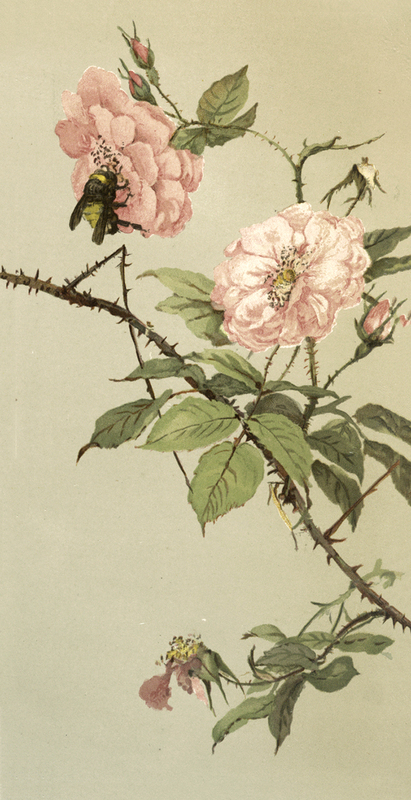 The botanical images are exquisitely drawn with soft pink, yellow, and dusty green colorways. Creamy aged backgrounds make this a set that could easily be framed and displayed together for a decor statement. Just charming. The vintage illustrations are perfect for a Mixed Media Collage, Handmade Cards, or Floral Craft Projects. I hope you enjoy these antique graphics and have fun creating with them. We begin our collection with this Gorgeous Vintage Bee On Flower Image! This is a bee sitting on aa large antique pink rose. Its stem full of thorns, rose buds, and another rose fully bloomed. I love the colors on this botanical illustration. They are so soft and muted. Just beautiful! Next I’m sharing a variety of butterfly and moth images. 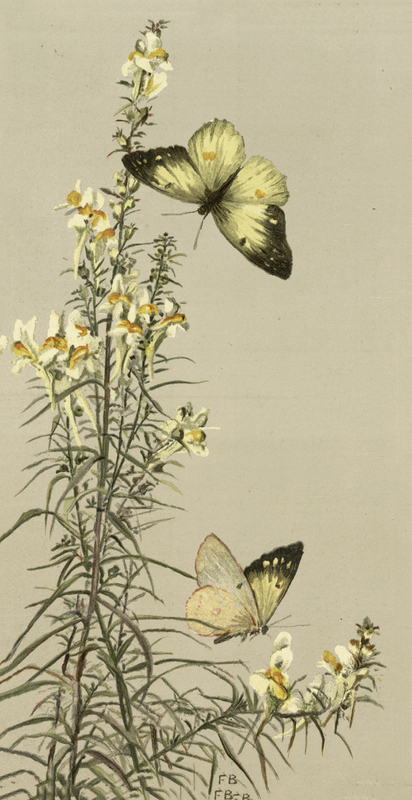 First we have this Beautiful Vintage Yellow Butterflies Image! There are two gorgeous yellow butterflies with a dark green trim around the edges of their wings. One butterfly has its wings spread wide open and the other wings are just slightly open. Both butterflies are flying around these beautiful yellow and white flowers. The tall stems have feathery green leaves covering the entire length. The colors are softly muted. Just stunning. Above is a lovely Vintage Butterfly On Pink Flower Image! This is a sweet yellow butterfly with a black trim around its wings, and dark gray lines throughout them. It also has tiny spots of a rose color on the top of its wings. The butterfly is sitting on a beautiful pink flower. The ball shaped flowers stand out from the soft green leaves and grasses below. 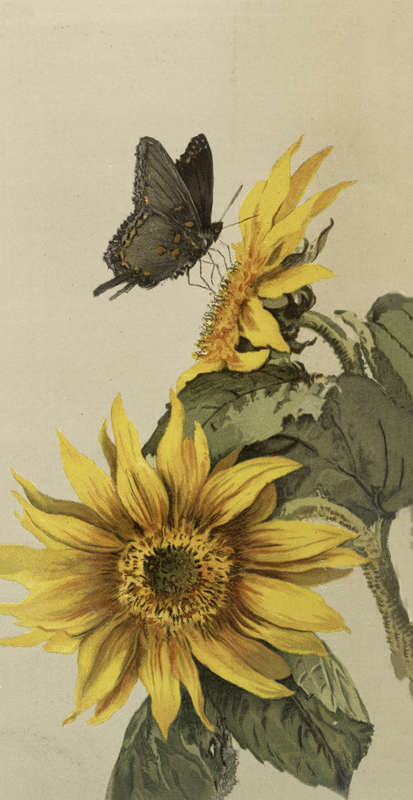 A stunning illustration of a Pretty Vintage Moth And Sunflower Image continues our collection. This is a Moth, or perhaps it’s a butterfly, I am not totally sure. The butterfly is a sandy brown color with ruffled wings. It has spots of orange randomly placed in is wings. It is perched on the center of a fun yellow sunflower facing sideways. The is one more front facing sunflower with green leaves. A Gorgeous Butterfly Sitting On Flowers Image is a charming addition of our collection. 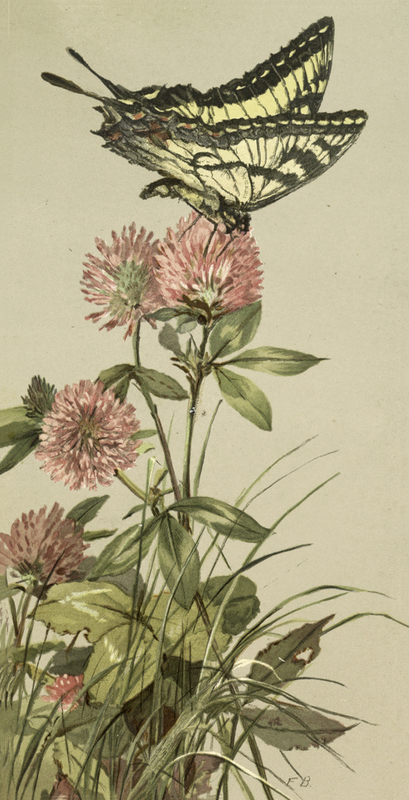 This drawing shows a small yellow butterfly almost camouflaged by the flowers. Its wings slightly open and a few random spots and soft stripes on its wing. This butterfly is sitting on a bunch of pink flowers. Wisteria perhaps? I love the flowing lines of this Sweet Vintage Moths and Flowers Image! 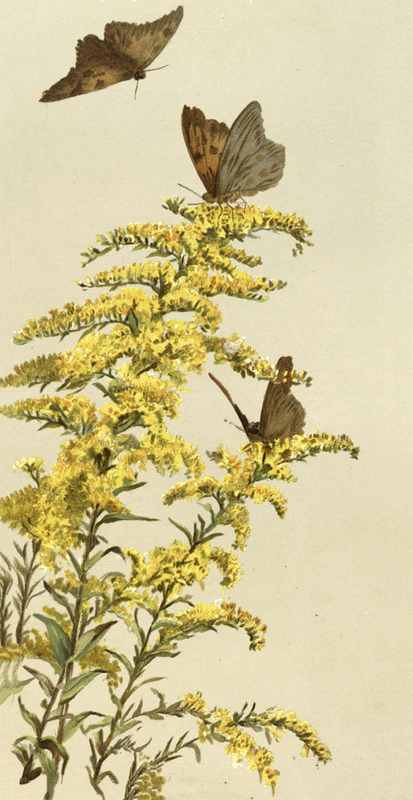 The illustration shows two orange and tan colored Moths sitting on some bright Yellow Wildflowers (maybe Goldenrod). Another of the beautiful insects is flying above. The Moths have brown, tan, and gray designs on them. I hope you enjoyed this curated set of 6 Beautiful Insects with Flowers Images. You might also like our White Botanical Flower Images HERE or our Birds with Flowers Images HERE! « 10 Best Teapot Clipart! Thank you Karen – love the pink clover the butterfly is on. Lovely to see the butterfly on the clover flower.It was on the news today, here in England , that lots of people , when asked which wild flowers people knew , not many over a certain age had never heard of clover. I used to love watching bees on the clover, and picking a flower to taste the honey, or so we were told. So pretty! Thank you for sharing this with us. Happy Friday! Well I am amazed that not many know what clover is, no interest perhaps. Thank you for the lovely image. Oh, you can do so much with this lovely image – the soft tones are fabulous! Thank you so much! You are so welcome Irene, have fun!! LOVE these, they would make gorgeous Coasters. Is there any way I can find out what you used as a background – I really do not want to disturb the colour combo you used. Thanks Toby, the background is part of the image, I hope you have fun with them! Wow, these are all just gorgeous! And fun that they all have the same size format. Beautifully painted. Thank you for your generosity.